When your pet requires health care, you want to feel confident that he or she stays in good hands. 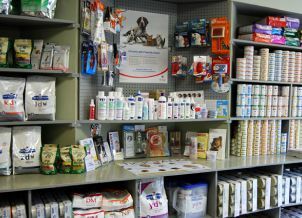 You expect your veterinarian to treat your pet kindly and to keep you informed on necessary procedures and prescriptions. If there is an emergency during our hours of operation, we will react quickly to provide the best service possible. After-hours emergencies are referred to an emergency clinic. At Kato Animal Hospital, you won't have to worry about the safety or health of your pet. When you bring your cat, dog, rabbit or guinea pig to our animal hospital in Toronto, ON, you can rest assured that our staff will provide loving, compassionate care. Our staff is always involved in continuing education to provide you with the best service possible. In 1982, Dr. Christine Kato founded the Kato Animal Hospital in Toronto, ON, and since that time, she has helped hundreds of pets (and their owners) stay in good shape. Many of our staff have stayed with us for over a decade, and as a result, we've been able to build long-term relationships with many of our clients. We encourage our staff to polish their skills through continuing education and frequent meetings. And if we can't perform a specific service for you or your pet, we'll refer you to our laboratory partner, Antech, for a consultation. At Kato Animal Hospital in Toronto, ON, we understand the importance of keeping up with the times. To accommodate changes in technology, we expanded our building in the 1990s and purchased new digital X-ray equipment in 2007. We later upgraded this equipment in 2012. In 2015, we upgraded to digital dental x-rays, and we look forward to using new software that will make it easier to provide you with internet referrals. To learn more about our services, call today. The staff at Kato Animal Hospital consists of one full-time veterinarian and one part-time veterinarian, one full- and two part-time receptionists, one full- and one part-time registered veterinary technician and three part-time veterinary assistants. Hobbies & Interests: Drawing, painting, silversmithing, and reading. Interested in feline health and behaviour. Hobbies & Interests: Reading, video games, watching movies, and cuddling with her dog. Interested in animal behaviour.